Discover the chemical processes occurring deep within the Earth that create beautiful crystal structures in caves. Caves are a result of rainwater slowly carving away rock. Carbonic acid forms in rainwater as it passes through air and soil, and this dissolves calcium in limestone rock. 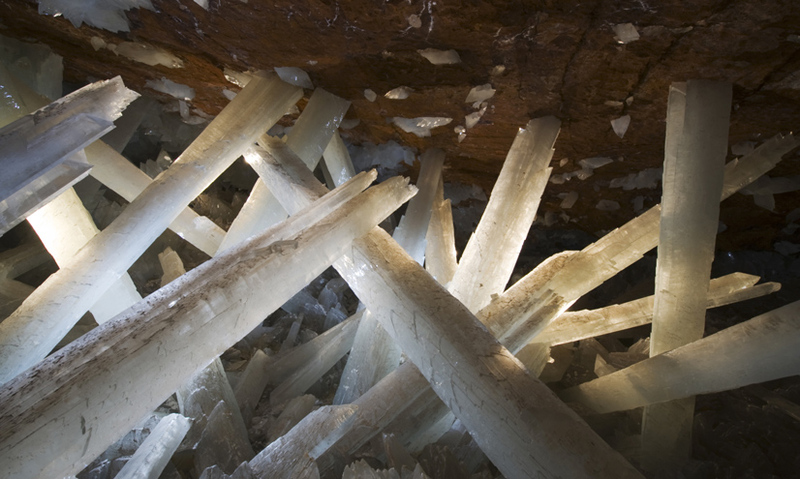 Crystals in caves form from a high concentration of ions in a calcium solution. Stalagmites and stalactites are the two common crystal formations. Beautiful and immense caves, like this one in Mexico, were formed over thousands of years and discovered by accident. It's the action of rainwater that slowly but surely carves out these magnificent caverns. As rainwater passes through the air and soil, it absorbs carbon dioxide and forms carbonic acid.